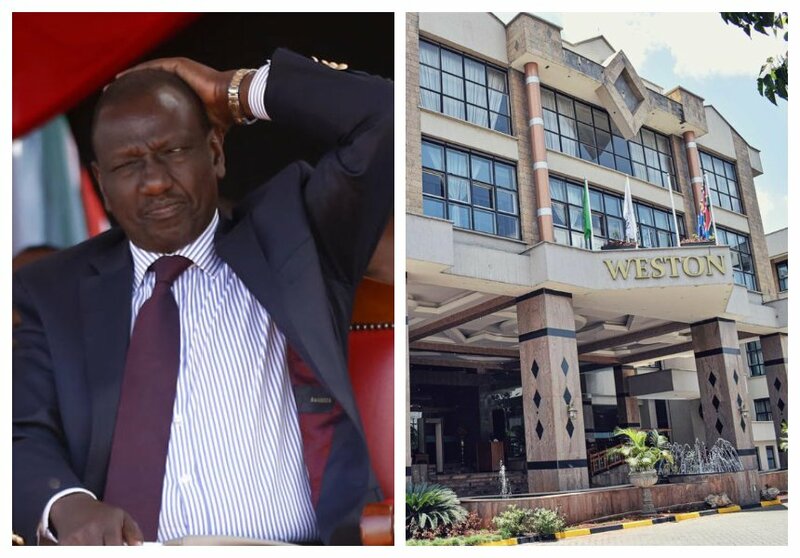 Wednesday January 30, 2019-The controversy surrounding the land on which Deputy President William Ruto's Weston Hotel sits seems to be far from over after the National Land Commission (NLC) Chairman, Mohammad Swazuri claimed he did not hand over the land to the Deputy President. Speaking yesterday, Swazuri distanced himself from the decision that led to the surrender of the strategically placed public property to a private investor. He noted that the decision by NLC to hand Ruto the hotel plus grabbed land last week, which he termed as unprocedural, was made in his absence and signed by the Commission's vice chair Abigail Mbagaya. "Through some technicalities, I was bundled out of office. I was out of office from August 13, 2018, to November 30, 2018. The rest of the Commission adjudicated on that matter during that time and made a decision in my absence," Swazuri said. “The Committee met using the proceedings of the discussions and made that determination. Now, a case made by one judge cannot be determined by another who was not there. So I really do not know the proceedings because I was not in office for two and a half months and I was not privy to the discussions that went on. I am the one who should sign, but the person who signed was the vice chair," he said.